If your car needs a clean then you are in for a big treat. 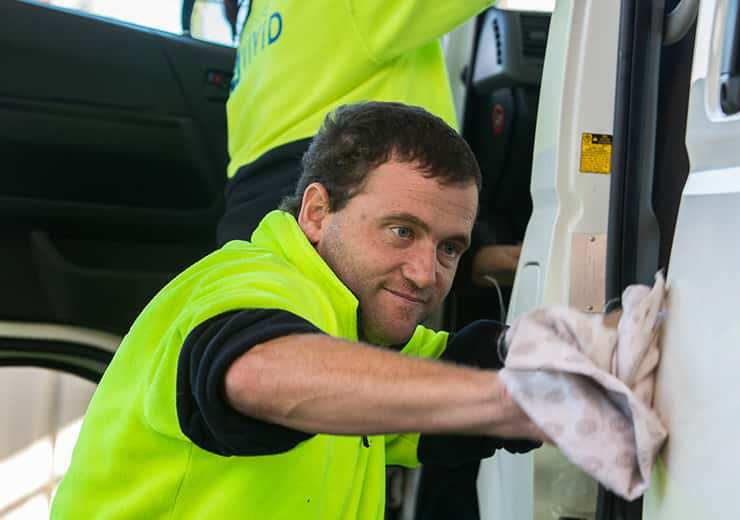 Vivid Work Crew’s car wash is a unique business, giving people with disabilities paid and meaningful work. Your car will be treated to a full clean inside and out. We can even pick it up and deliver it back to you when we’re done so all you have to do is enjoy your spick and span vehicle! Prices start from $50 and vary depending on the size and condition of your car. Give the Crew a call for a quote and book your car wash in.